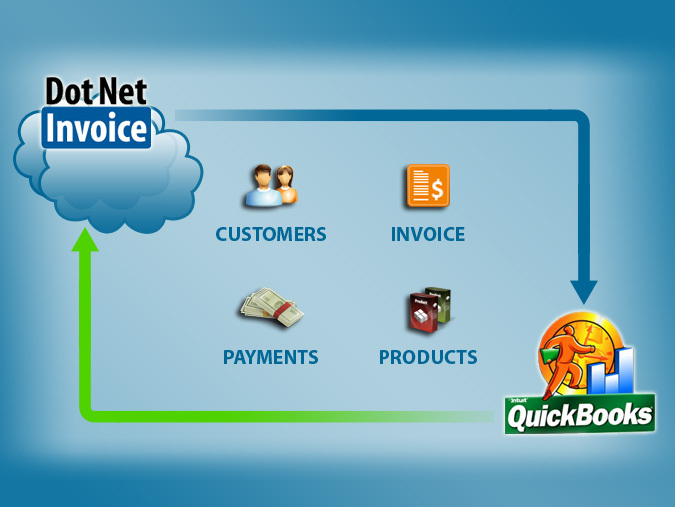 with DotNetInvoice using our QuickBooks Sync add-on. 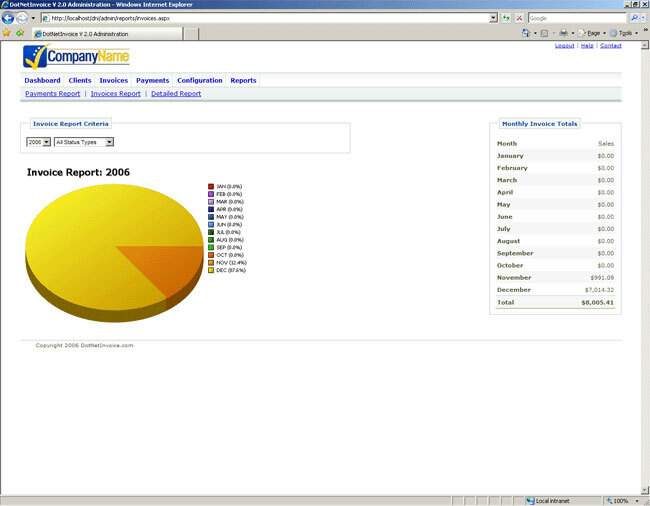 past due invoices, and key financial stats from your administration dashboard. 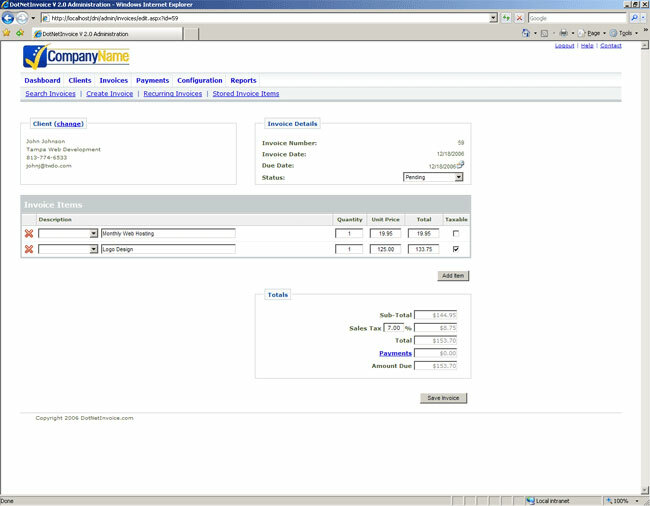 Create and send a new invoice in 60 seconds. Have it sent every month by checking a box. Instantly receive and track payments online. remain unpaid. 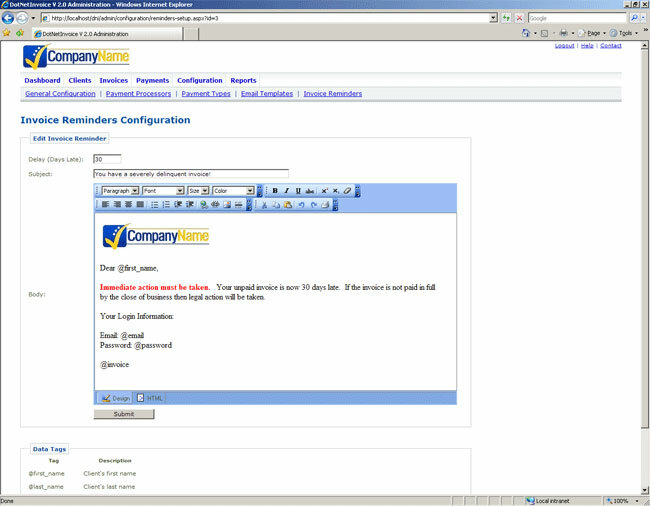 Email text and timing are fully configurable. 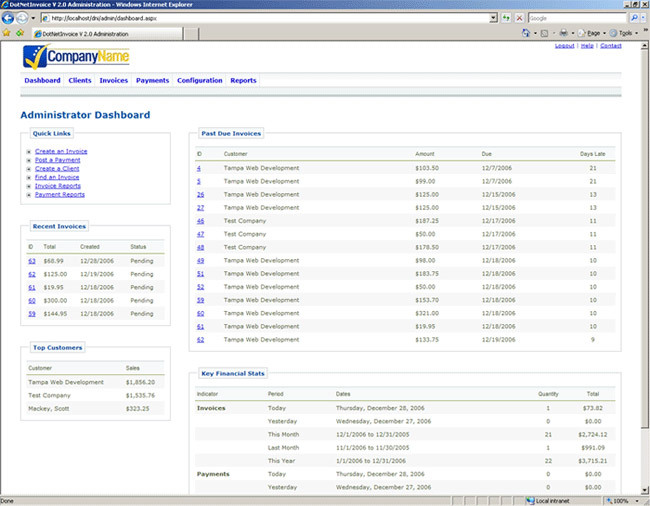 Quickly visualize your monthly invoice and payment breakdowns. Achieve an understanding not possible with raw numbers. Reporting at your fingertips - pull up any invoice, client, or payment in seconds. 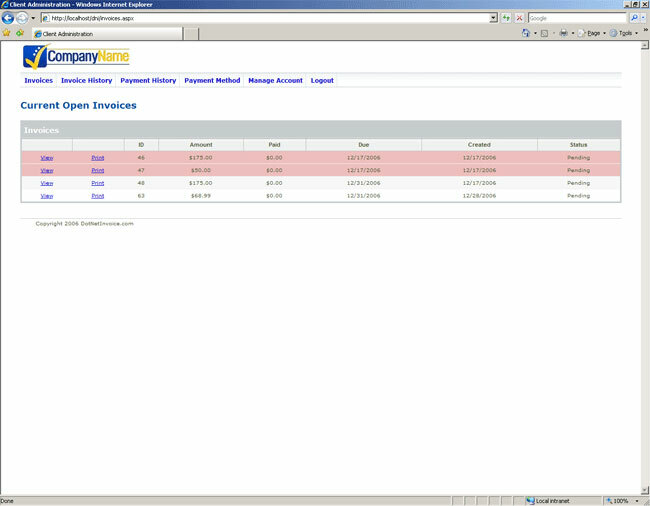 Clients login, view and pay new and past due invoices without ever contacting you. 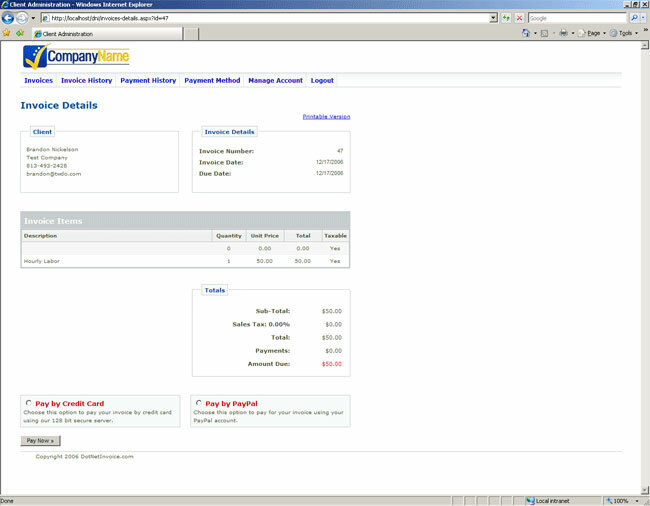 Clients pay their invoices online using PayPal or Credit Card. Save time and get paid faster with DotNetInvoice.